Running Deep-Learning Models That Previously Weren’t Possible; Infinite Computing For Infinite Possibilities. From just powering gaming computers, NVIDIA Corporation (NASDAQ:NVDA) has advanced its GPU business to focusing the use of its technology to power advanced machine technologies. 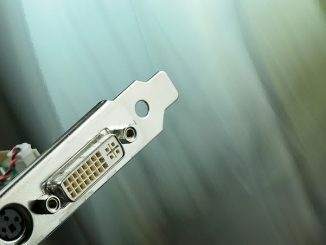 NVIDIA DGX-1 – This is what is known to be the world’s first commercially available supercomputer designed specifically for deep learning. NVIDIA claims that DGX-1 is a supercomputer delivering the computing power of 250 2-socket servers in a box. The company states on their website that its NVIDIA NVLink™ implementation delivers massive increase in GPU memory capacity, giving you a system that can learn, see, and simulate our world—a world with an infinite appetite for computing. NVIDIA also claims the DGX-1 can be trained for tasks like image recognition and will perform significantly faster than other servers. The new DGX-1 uses neural network training through the company’s Pascal architecture, which allows the supercomputer to process information in similar ways human brains do. Companies and organizations have been spending $129,000 for this promising supercomputer designed to train artificial intelligence (AI) software and deep-learning models faster than most conventional computing systems do. Although having a steep upfront cost, many seem to find the price worth it. According to PCWorld, the computer is built for deep learning, which NVIDIA is emphasizing for self-driving cars, robotics and supercomputing. The supercomputer box houses all the necessary hardware components and software layers in place for quick deployment. DGX-1 boasts having 8 16GB Tesla GPUs, a 7TB SSDs, a Dual 10GbE + a Quad InfiniBand 100Gb networking, an NVLink Hybrid Cube Mesh and a pair of Xeon processors. According to Nathan Ingraham of Engadget, the goal of having such system is to make deploying ultra massive computing power much easier. This will allow AI systems to be trained faster than ever before. DGX-1s are in active use in AI research communities and as well as in medical research facilities specifically in the areas of genomics, pathology, and radiology. In addition, NVIDIA is betting big on its supercomputer, and believes it could help discover “better cancer drugs” and “cleaner, more efficient fuel” – two aspects our world would be so much better if new approaches were to be found. On a separate yet related news, NVIDIA stock gained $1.60 to $102.01 in mid-day trading Monday. Approximately 11 million shares changed hands, compared to the stock’s average daily volume of 11.85 million shares. On valuation-measures, shares of NVIDIA have a trailing-12 and forward P/E of 52.13 and 38.04, respectively. P/E to growth ratio is 1.43, while t-12 profit margin is 19.88%. EPS registers at $1.96. The company has a market cap of $54.99 billion and a median Street price target of $95.00 with a high target of $120.00. On trading-metrics, in the last 52-weeks NVDA has traded between a low of $24.75 and a high of $102.19 with the 50-day MA and 200-day MA located at $85.79 and $64.88 levels, respectively. NVIDIA stock currently prints a one year return of about 210%, and a year-to-date return of around 208%.